I don’t know whether to laugh or cry at this futile attempt to save a rural Japanese community. 2. No easy access to schools and hospitals. 3. 3 hundred + octogenarians who need support. 1. Must have been born there. 2. Must know the local area. So basically, they just want people who moved away because of all the cons to come back. 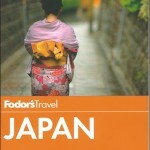 Outsiders, even Japanese? No thank you! This is why 10 years after starting the offer, it isn’t working. But hey, this is Japan, where no one learns at school to carry out critical analysis, so with a complete lack of understanding as to why thier program to entice people back is failing, they will just double-down on the existing fail and ‘ganbaru’ harder. How do these kinds of “revitalisation” schemes even work, practically ? What kind of people are they looking for here ? Besides 100% pure yamato, of course – I mean they’d readily admit it’s a dying community somewhere out in the boonies, with no jobs, no hospitals, no nothing. Oh, besides “bountiful nature”, which doesn’t pay any bills, tho. The only people who could possibly live in this economic/cultural no-opportunity wasteland are pensioners, of which they already have enough. They want people under 55, families with kids ? How is that possible, if the parents can’t find work there and the children are dying of boredom (and get the hell out again, anyway, when they’re of age) ? Or some kind of magic unicorn self-employed artists/writers, who can afford to live there for some kind of “romantical” reasons. So it’s not even just ANY japanese, no you also have to be the right kind of local japanese too (exactly the kind of people who deserted that sinking ship in the first place, and they’re not coming back). 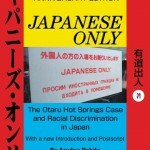 Because (and this is the flipside of that fine “neighborly” rural lifestyle) insider-outsider discrimination also goes on between japanese, not just with foreigners. Debito did some articles on that also. Better to live in a big city, where everyone’s a stranger at least, and not in a small inbred village where you’re still after some decades just the “new guy”. I’ll give them one thing, though. At least they’re just doing a useless grants-program that no one takes. Other communities have tried to “revitalize” through much more megalomaniac go-for-broke White-Elephant-projects, which are as hilarious as they are sad. Makes for great Urb-Ex now, though. The Foreign Ministry plans to better utilize TV commercial messages to be aired overseas so that other countries will receive more information about Japan’s contribution to the international community. After commercial messages aired on CNN from March to early May received high public praise, the ministry realized the value of TV commercial messages in galvanizing public opinion in the international community. By the end of this fiscal year, the ministry will produce a number of new TV commercial messages to be aired on TV stations in other countries. As this year is the 70th year since the end of World War II, the ministry aims to counter the increasingly fierce anti-Japanese propaganda from China and South Korea over issues relating to historical perceptions. At CNN, two commercial messages were aired. One, titled “Nation Building in the Post War Era,” mentioned how Japan has contributed to economic growth, peace-building and other elements in Asia. The other, titled “To make Women Shine,” shows how Japan is helping women advance in society in developing countries. Each explained the efforts by Japan using graphics and video for about two minutes in English. The clips were aired from March 14 to 27 in North America, Asia, Europe, the Middle East and Africa. They were aired again in North America to coincide with Prime Minister Shinzo Abe’s visit to the United States from late April to early May. The ministry examined via CNN how widely the video clips were viewed, and it was estimated that about 83 million people saw at least one of the video clips. The ministry also found that about 90 percent of the viewers had a favorable impression about Japan. Those ads ought to be a laugh! They will either leave the viewer thinking ‘WTF? Japan is so backwards’, or will inspire the ire of China and S. Korea who will use the ads to draw more negative attention to the kind of things Abe wishes would just go away, like history, and working women, and discrimination, and stuff. Total nail on the head post there! I absolutely agree. The village (like many others) is dying due to the institutional structures that Japan has put in place for farmers and agriculture, combined with an obsessive need to centralize everything in as few big cities as possible. 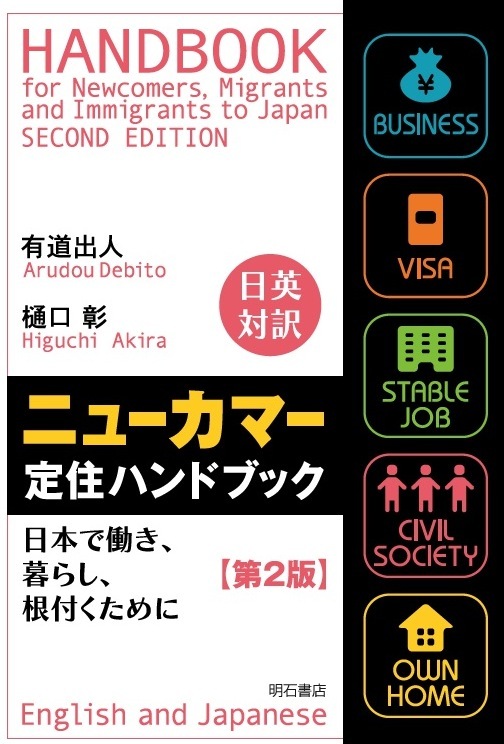 Abe hasn’t used his 3rd arrow even after 2 years in office, and it looks like institutional reform will never come. Hence these communities will decline to extinction. After all, they don’t want to accept change, but the status quo is what’s killing them! It’s a microcosm of Japan. As the saying goes; ‘If you want things to stay the same, things will have to change’. The Japanese are so averse to change, they’d rather die out. It’s like politics. People always talk about Japanese voter apathy, but I suspect that it’s just an unwillingness to accept change on any scale. They want things to be better, but only if they don’t have to change to make that happen. This is probably why Abenomics (remember the last time you heard that?) was embraced; it was ‘change’ without having to change anything. Like the story of the village above, it failed. Umm and exactly where are they sourcing the funds to pay for these subsidies? 500k up front, 100k a month for 36 months. Grand total 4,100,000 yen for a family to live there for 3 years. Who ends up paying for this? Disgusting… the dying cry of a village that deserves to fade into nothingness. There comes a point where I almost want to see Japan to fall into total obscurity and suffer from behavior akin to this. Then I remember that those pushing these policies will likely be dead in ten years, and it seems that it simply their last attempt to have Japan die with them. I’m going to play Devil’s advocate – this island village put out a BIG bait to get people. Their goal wasn’t to institute a new immigration policy – it was to get city Japanese people back to their island. I’m going to give them the benefit of the doubt, because it’s obvious they just bit off more than they could chew. Giving massive sums of money to Tokyo-ites and helping them adjust to island life was going to be hard enough – but giving massive sums of money to a random immigrant, and helping him and his family adjust? That’s just…leaps and bounds beyond what they were expecting. They probably had an idea of what they would say and do with the Tokyo people – they had no plan in place for non-Japanese people. I’m saying this as someone who lived in a town of 3000 in the deepest inaka of my prefecture – perhaps the deepest inaka of the whole country. It was AWFUL. I was unhappy, miserable, depressed. The Japanese government thinks that scattering JETs around the archipelago without any training or education is a good idea, but I can tell you – it’s NOT. Giving a bunch of money to a random immigrant and plopping him down on an island in the middle of nowhere is NOT a good idea. Frankly, we just don’t know enough to be able to tell if this was blatant racism, or just a village leader walking back on a stupid plan. If a qualified, fluent-in-Japanese, long-term immigrant (who also happens to be good at farming) applies, and is rejected, then, yeah, we can cry racism. And don’t get me wrong. 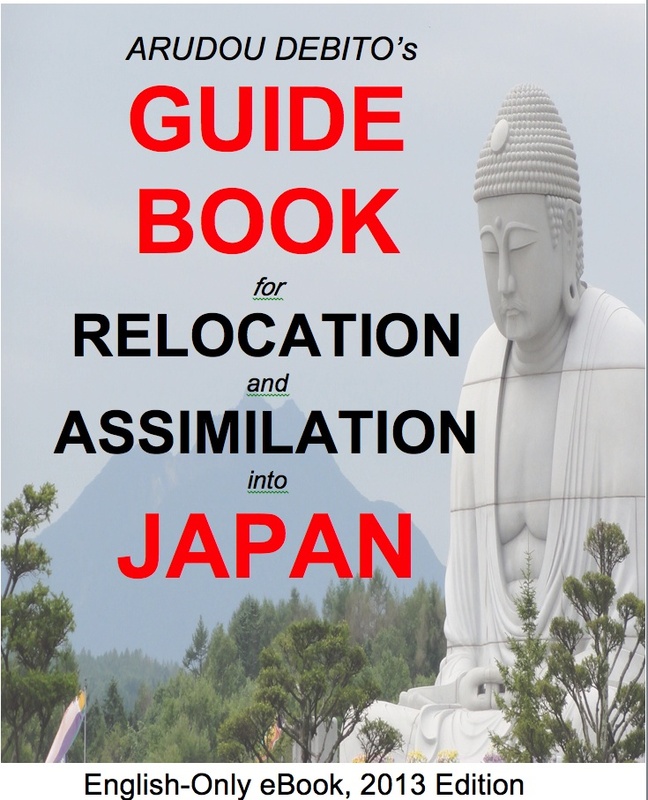 Japan, as a nation, is not and never has been threatened by immigrants. Tokyo, Osaka, no one in Japan is in ANY danger of “losing their culture” due to mass immigration. But we have to remember that a lot of these tiny islands aren’t actually “Japanese culture” – they are minorities in their own way – I highly doubt the people on that islands are the ones benefiting from Abenomics, you know? The people on that island aren’t the pampered elite, and there are plenty of (local, Japanese) threats to their way of life that they need to consider. Just…give this story some time to develop before pulling the racism card. Let’s see some qualified immigrants apply for their program before we judge. If they turn away a qualified person, then, yeah, it’s racism. But we don’t know that these applicants were qualified, and it sure sounds like most of these non-Japanese applicants were just people looking for free money. — Well, if you turn them away BEFORE even assessing their qualifications, well, doesn’t that count as something exclusionary? Further, I doubt villagers asked for many qualifications for applications if they came from Wajin. Would you accuse Wajin applicants similarly as just looking for free money? Somehow I doubt it. The Devil you are advocating and benefit-doubting for lurks in those double standards within your advocacy logic. Well i have just imaged beautiful landscapes the nature and a good place to live a quiet life. So, either the image they note of being so dreamy is incorrect and false, or……oh hang on…quiet dreamy, ahh..just like the elderly dream of days gone by with no interference or johnny foreigner walking past their door. Perfect place to retire then eh? Perfect for for the kids then…oh no wait…they’ll just die waiting for emergency services after falling out of the beautiful tree and injuring themselves in the beautiful landscapes and nature trails. 1. People who were born here. 2. People who know the local area. That isn’t racism, it’s extreme xenophobia. Good on you for telephoning and pointing out their mistakes! >[…] The village of Mishima, composed of the small islands of Takeshima, Iojima and Kuroshima, has been trying to lure people to move there by offering the choice of a calf or a ¥500,000 lump sum, plus another ¥100,000 to help with moving expenses. Geez, this just sounds like language crafted for Labor Ministry’s work visa scheme to lure nikkei workers from the late 1980s. Amazing how the prefectural government promotes their shabby, isolated island for relocation after retirement but fails to provide information about local environment. This one well deserves Dejima Award. Really? In Tsuwano, Shimane they want people to move there too. But they said no one over 40 may apply. People can get a house with low rent and help finding a job. This was posted on Japan Today. 100,000 yen for expenses isnt even that much these days-thats the price of an air ticket (not that they want anyone flying in from overseas, they have made that much clear). So you get a calf (giggle, sounds like a scene from “Borat”) or 500,000 yen-but what to do when that runs out as there are surely no jobs there at all. So you (are paying to) come for the Japan “experience”. There is no real money in it. How long do you have to stay before you can leave again? Or do they “force” you into staying there “for life” in return for 500,000 yen. Wow, sounds like a great deal (sarcasm). A bit like the “trainee” program. One suspects that they hope that rich J-retirees will come and spend money there, putting more money in than they take out. Sorry, not surprised in the least: the Japanese countryside has never seemed to be open-minded. As everybody above already noted, they are doing it the wrong way. Institutional racism aside (this is Japan after all, nothing surprising), I am surprised they haven’t thought why nobody wants to move there even with subsidies. They should think first about identifying a few areas for economic growth and favor the establishment of new businesses, which will bring tax income and residents. In remote areas, the only businesses I could think off are: agriculture, tourism (eco-tourism, B&B lodging, etc. ), internet business (small internet/technology startups can be established almost anywhere in the world). Debito, I think I made my point badly. Japan has undergone a massive centralization of political, legal, economic, and cultural power in both Tokyo and Osaka over the years. The problem these people are trying to address is the power imbalance between them and the social elite in Tokyo, and the mass migrations of young Japanese people to the cities. And, look, a thousand – ten thousand – a hundred thousand foreign immigrants in Tokyo wouldn’t do the tiniest bit of harm to the local culture. A hundred thousand immigrants in Tokyo would hardly put a dent in the power and privilege of the local people. But on this tiny island? A hundred foreign immigrants would bring drastic change, that neither the locals nor the immigrants would be mentally or emotionally prepared for. It’s unfair to ask a tiny community to not only accept a sudden influx of immigrants, but also give them large sums of money. But, look, did they accept an unqualified “Wajin” NEET from Tokyo and reject an experienced farmer with proficient Japanese language skills from Croatia? No? Then we don’t really know if this is racist or not. Look, I’m the guy who came here to say that Rassun Gorerai is blindingly racist – and I got a bunch of flack for that on Reddit. (Unfortunately, Rassun Gorerai just released an openly racist TV commercial with Tama Home, so I guess at least I can say I’ve been vindicated there.) I’m happy to read deep into the subtext of these things and interpret things in a way no one else wants to. But I just think you’re jumping the gun here. Give the situation a chance to play out. — Thank you for clarifying your point further, but I think I got the essence the first time: You approve of people being begged (or in this case, bribed) to come live in a place but not give them any say over how it’s run. That is to say, as you have said above, you’ll only accept outsiders if they are in numbers small enough to have no impact. How disenfranchising a view (and it’s one of the reasons why countrysides are dying out — as I’ve written before, people don’t want to move to a place only to be treated like “gaijin” and told to shut up). No. You bring people in, you accept their views, especially since beggars can’t be choosers in this situation. Moreover, you’re supporting the official choosiness based upon racialized paradigms, something which Debito.org cannot abide by. 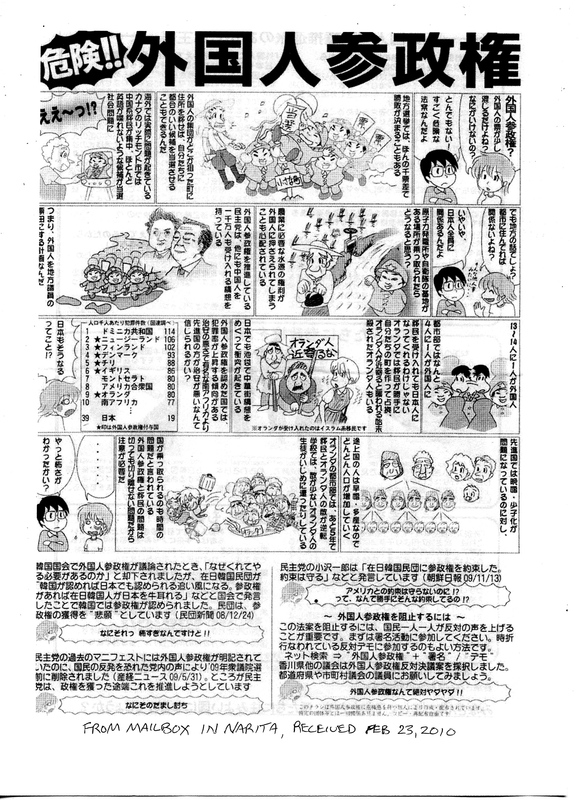 On a personal note, I am sensitive to this issue because that was the attitude in some people (particularly the landed “oldcomer” farmers) in my former country town of Nanporo, Hokkaido, where the population of newcomers soon outnumbered the oldcomers after local government incentives doubled the population in a very short time. They were told to shut up and follow. They didn’t. They (including my then-wife) got elected to the town legislature and made an impact. As should anyone who moves to a place if they so choose. In short, the fatal flaw in any repopulation program is people forgetting that they are not just importing numbers — they are importing people. And they must respect those people’s diverse views as outsiders regardless of where they come from, or they should not invite them.